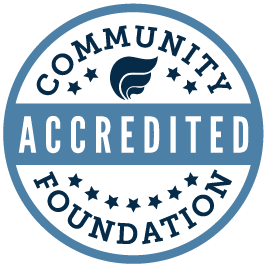 Community foundations are often known first and foremost as grantmakers. Providing support to great causes is a crucial part of how we help transformation happen thanks to the generosity of donors. Our grantmaking and community initiatives team shapes grant opportunities that award dollars to nonprofit organizations addressing the most pressing needs and promising opportunities in the Quad Cities region – all while carrying out the intent of donors that made the grants possible. We also connect people and champion opportunities that no one person or organization can pursue on their own. Our board of directors sets policies and priorities for each fund established at the Quad Cities Community Foundation from which a grant may be awarded. Depending on a fund’s purpose, our board, our staff, our grants and scholarships committees, and advisors to our funds are able to recommend grants, from Community Impact Funds to donor-advised funds. Our professional staff and our dedicated board ensure that every grant made is legal, charitable, and fulfills the intent of the donor. At the Quad Cities Community Foundation, our grantmaking team stands ready to help nonprofits apply for a grant. Whether you are writing your first grant, or your hundredth, we are here to help you be as successful as possible. First, discover all of the grant opportunities that are available to communities in Rock Island and Scott Counties—and elsewhere—through the Community Foundation here. If you have questions, give Lisa Stachula a call at (563) 326-2840.